I couldn't resist customising a t-shirt for superD this christmas! 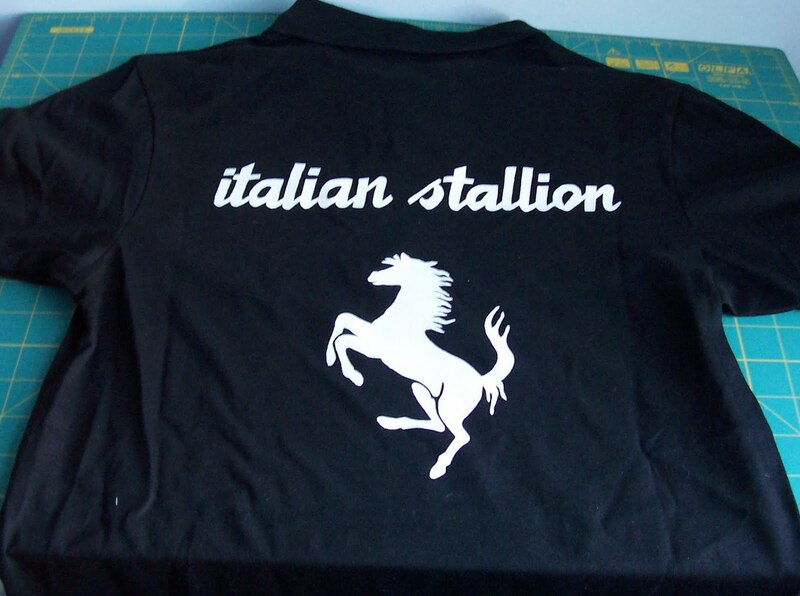 I copied the font from the free website dafont, and just got the ferrari horse image from google. I used waxed freezer paper to make a stencil and then sponged with white fabric paint. Iron to cure the ink and you've got a permanent stencil! He looks so good in it..yay! !